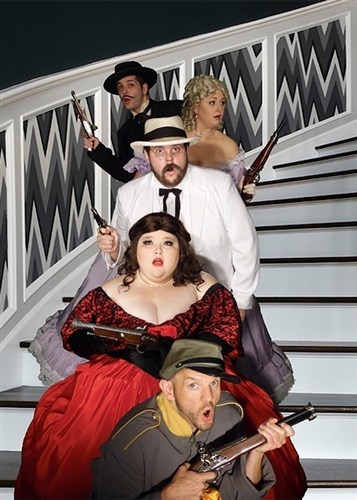 Murder Mystery Dinner Show has great food and first-class live theater entertainment. 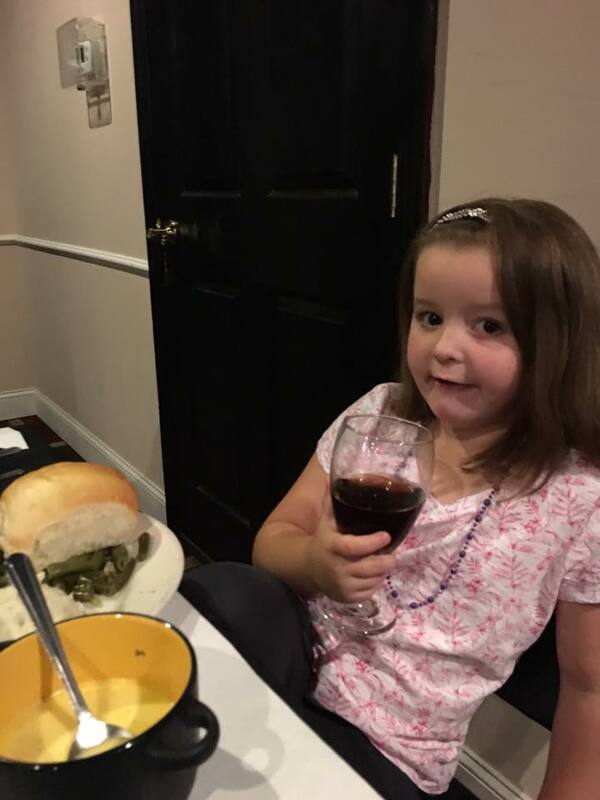 You will be treated to a delicious dinner with soup, entrée, and dessert. 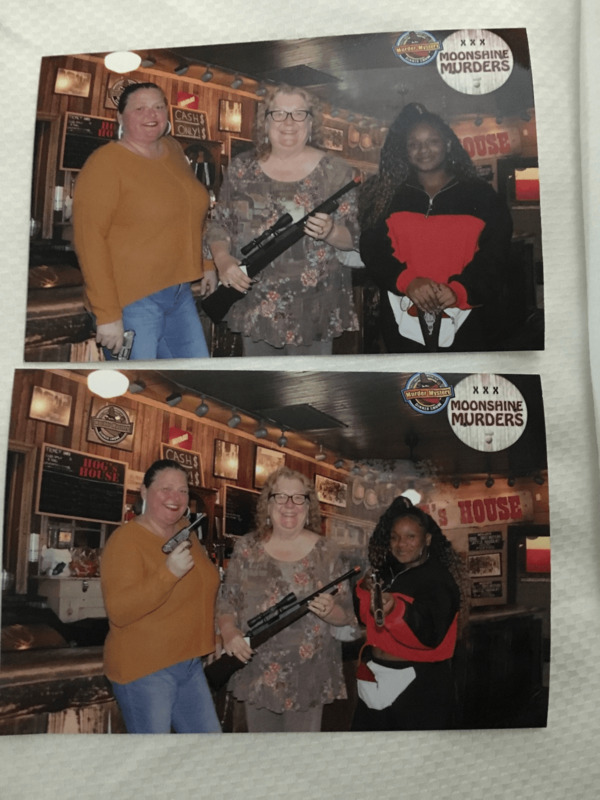 As always at the Murder Mystery Dinner Show, there will be a murder and you're in charge of solving the crime! The winner will receive a prize package! Shows alternate nightly and are subject to change. 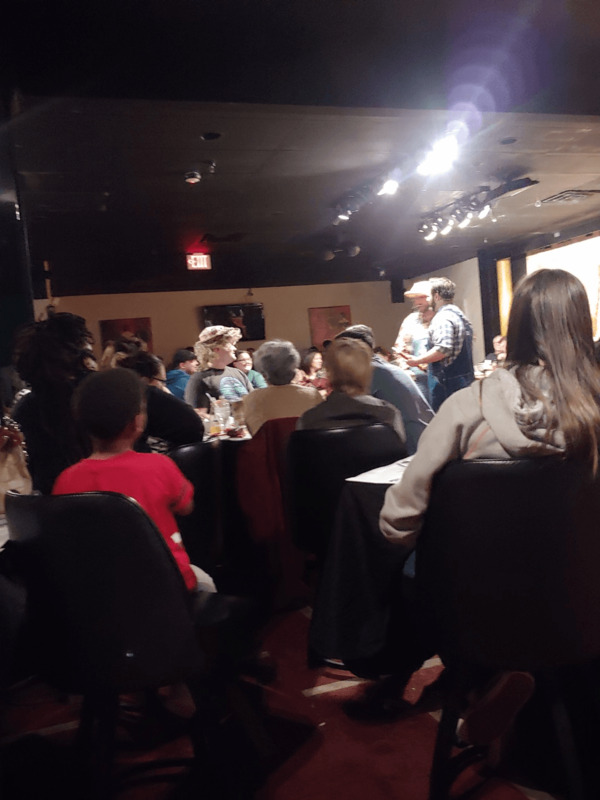 Theater offers a small and intimate setting. Seating begins one hour before the show time. 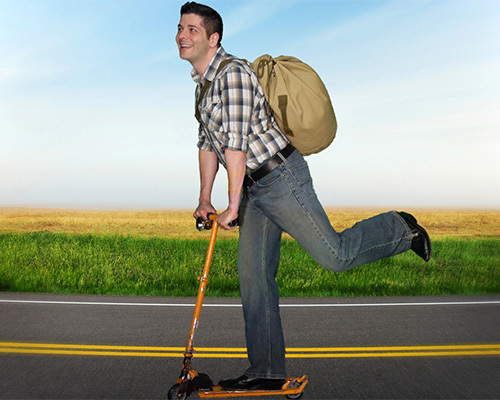 All guests should arrive 30 minutes to 1 hour prior to show time. Beer and wine coolers available. Shows are rated PG-13 for some adult humor. Remember to bring cash to tip your server. Located in Riverview Factory Stores shopping center on Teaster Lane, just off the main Parkway. Delicious three course dinner served. 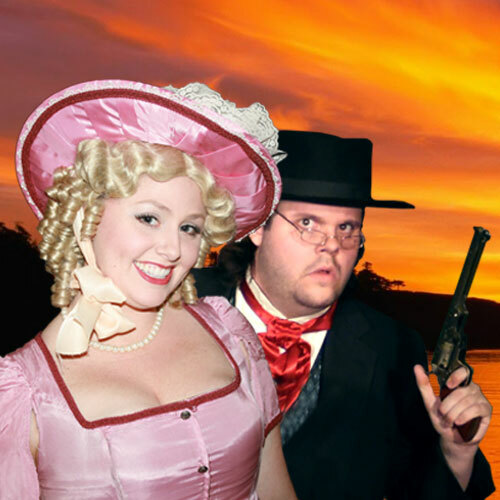 The Great Smoky Mountain Murder Mystery Dinner Show is a small and intimate theater, perfect for the up close and interactive show it provides. 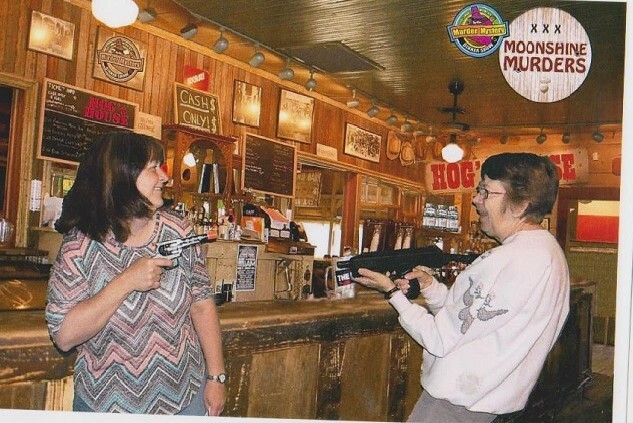 Our traditional, restaurant-style murder mystery plays out all over the dining room, so every seat is the perfect seat. 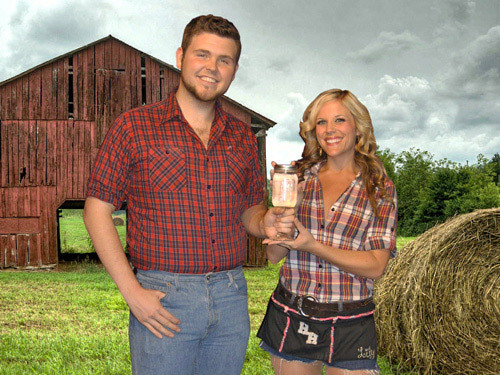 There are three sidesplitting, parody-style shows played in repertory each week: Moonshine Murders, The Killbillies, and Gun With The Wind. 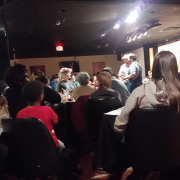 Guests are given the opportunity to participate in the mystery, either by becoming an audience actor or by solving the murder using the clue packet provided at each seat. 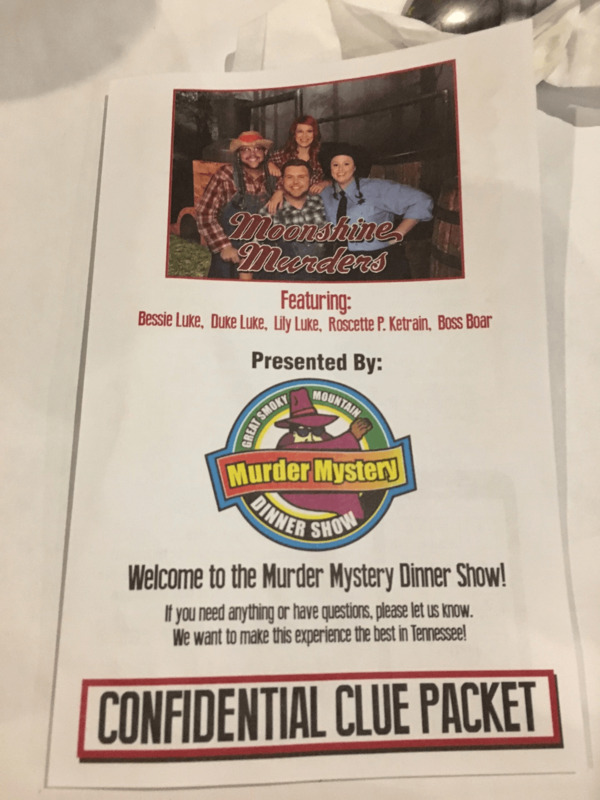 Your ticket includes our “laugh ‘til you die” murder mystery show with a Prize Package for the Top Sleuth of the night, as well as a three-course dinner with choice of soup and cheesecake for dessert. Howdy Partner! 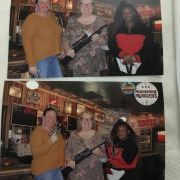 Welcome to Dodge City! The Wild West can be a dangerous place, so saddle up and keep your eyes and ears sharp. 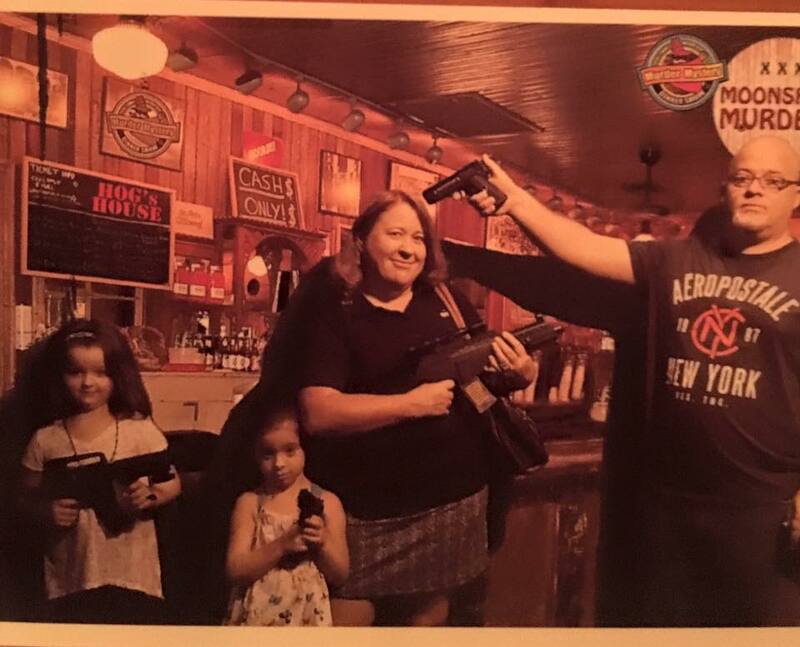 Sheriff Dillon is busy as always wrangling up outlaws, and spending his evenings at Miss Kitty's Saloon. However, a lawman's job is never done. Calamity Patty has rolled into Dodge, no doubt to stir up trouble. 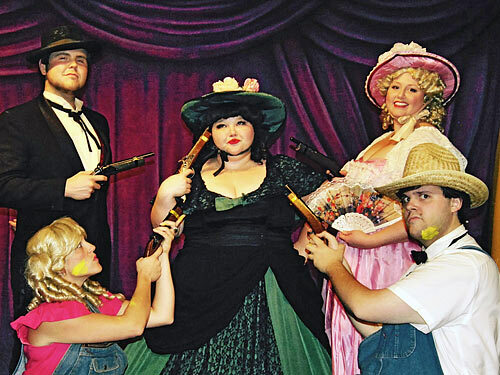 Join Sheriff Dillon, Miss Kitty, and Doc Adams as a night full of gunslingers, gamblers, and outlaws takes our gang on a wild ride. Pull up a stump and enjoy 'Who Shot The Sheriff'! The Lukes have been runnin' shine for years in the Sevier County hills. The unscrupulous Boss Boar and his henchwoman, local law officer Roscette P. Ketrain, have pursued them for years to no avail. But Sevier County has now become a prime tourist destination with increased traffic, making it harder for the Lukes to outrun the incompetent law woman. It is for this reason that Uncle Bessie has decided to sell his highly sought after, top-secret moonshine recipe to the local distillery at the bi-weekly Boss Boar Celebrity Speed Trap Concert featuring Elvis. The only problem is that Uncle Bessie hasn’t discussed the sale of the family business with the rest of the family. 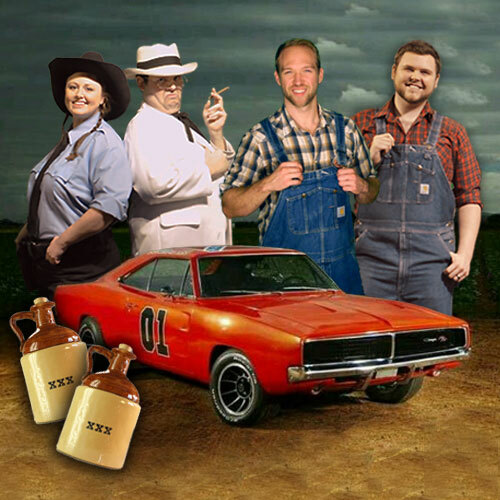 The evening of the concert has the whole county vying for the top-secret moonshine recipe and is full of murder, mayhem, and of course - moonshine. 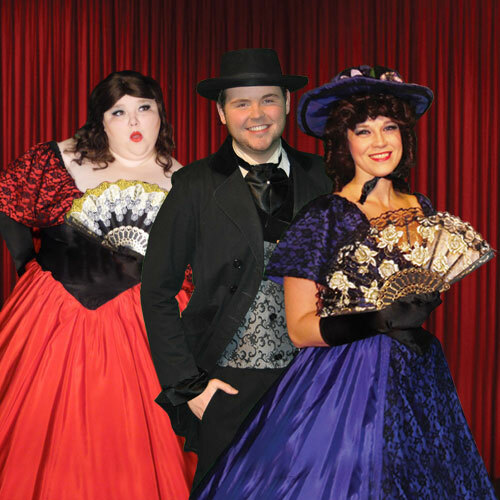 So grab your hats and hold on to your seats 'cause it's gonna be a bumpy ride in Sevier County tonight! 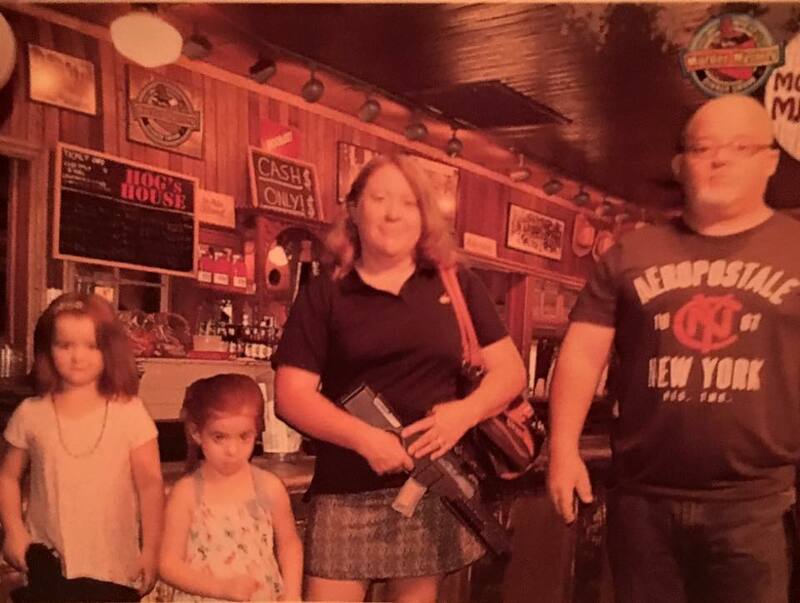 Back from Beverly Hills to start a new life in Pigeon Forge, meet the Clampett Family. Jed, the patriarch of the clan, has designs on a new life and a new wife after some financial and zombie problems in California. Ellie May and Jethro are up to their own brand of mischief and hijinks, while Granny misses her California life as much as she misses her motorcycle gang. 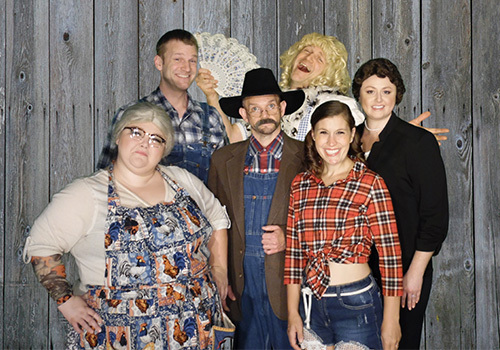 All this and more in a brand new take of your favorite characters in the Beverly Killbillies! Seating is assigned when you check in at the theater. Is it the same show every night? No, the theater varies between Moonshine Murders, The Killbillies, and Gun with the Wind. Check a show schedule if you have a preference. Is there a pre-show at Murder Mystery Dinner Show? Yes. Guests can meet the performers before and after the show. Audio and video recording are prohibited. Cameras are allowed only before the show, during intermission and after the show. 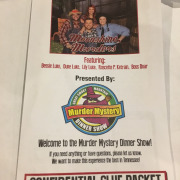 What type of meal is served at the Murder Mystery Dinner Show? 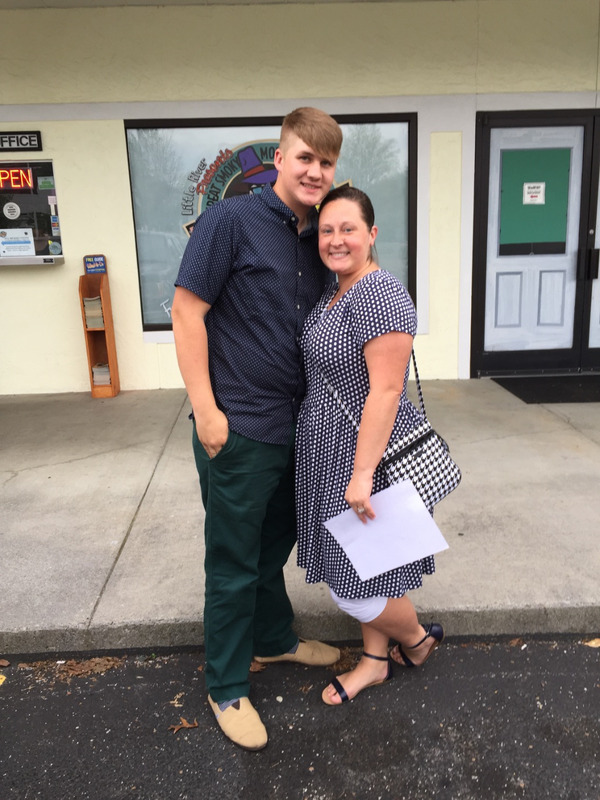 The meal includes a choice of soup (broccoli and cheese, vegetable, or loaded potato), a main course of savory pork loin and country fried boneless chicken served with white pepper gravy, mashed potatoes, country-style green beans, and a dinner roll. Cheesecake with your choice of topping is served for dessert. We also offer jello, no sugar added ice cream, and a gluten free chocolate cake for dessert if you prefer not to have cheesecake. Is there a vegetarian or vegan meal option available? Yes. The vegetarian meal will consist of vegetable soup, bowtie pasta with veggies in Alfredo sauce, and cheesecake. The vegan meal includes vegetable soup, bowtie pasta with veggies in pesto sauce, and fruit. 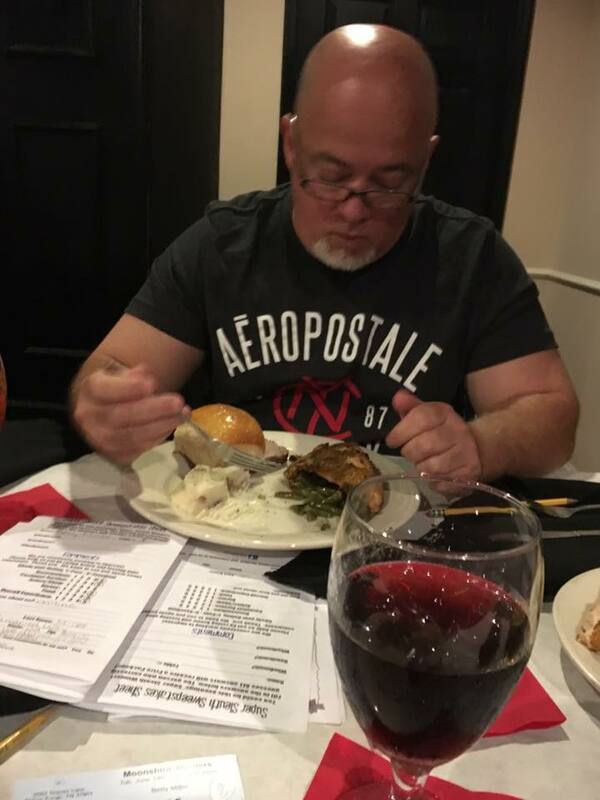 A gluten free meal is also offered, which consists of vegetable soup, grilled marinated chicken, pork loin, green beans, mashed potatoes, and gluten free chocolate cake. Is a kids meal available? 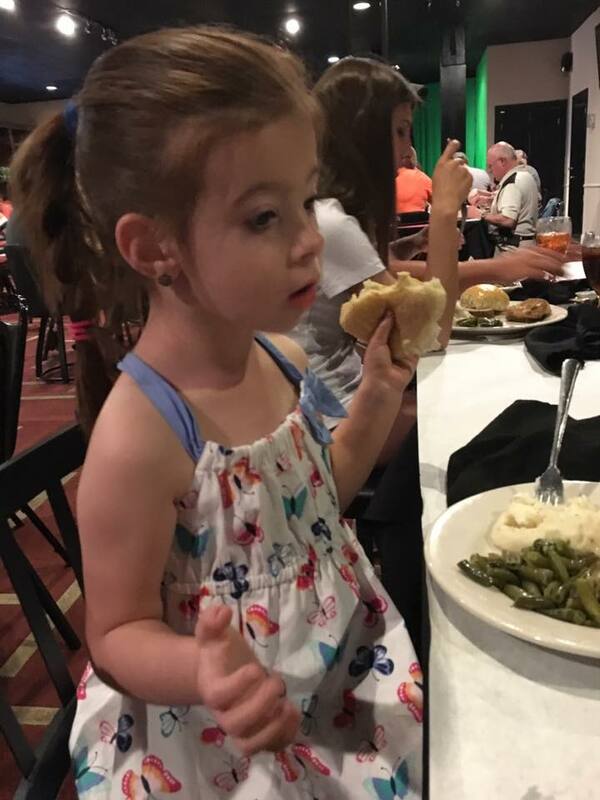 Yes, kids can chow down on chicken fingers, mashed potatoes, green beans, and a dinner roll. There is a 30-minute intermission for dinner and a 15-minute intermission for dessert. The theater seats 125 guests. Approximately how long is the Murder Mystery Dinner Show? The show lasts about two hours. Plenty of parking for all types of vehicles is available right in front of the theater. What type of seating/accessibility do you have? 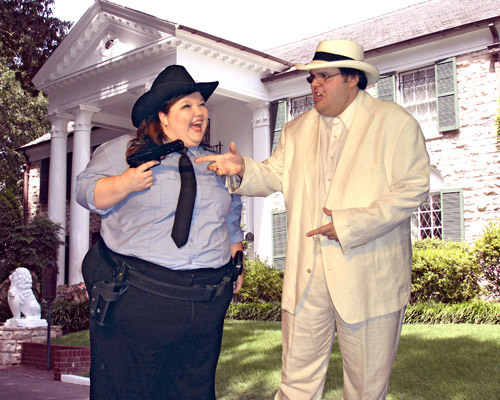 The Murder Mystery Dinner Show Theater is easily accessible for guests with disabilities. There are no stairs and seating is restaurant style. We do have several high top tables. If you are unable to sit at a high top table, please type a note in the "special needs" section as you select your tickets. Seating is assigned when you check-in at the theater. Does the theater provide a booster or high chair for the child 0-3 ticket? Yes, they do have a few booster seats. High chairs are also available for an additional charge of $12.10 at time of arrival. You will need to put a note in the special needs section to request a booster seat or high chair. 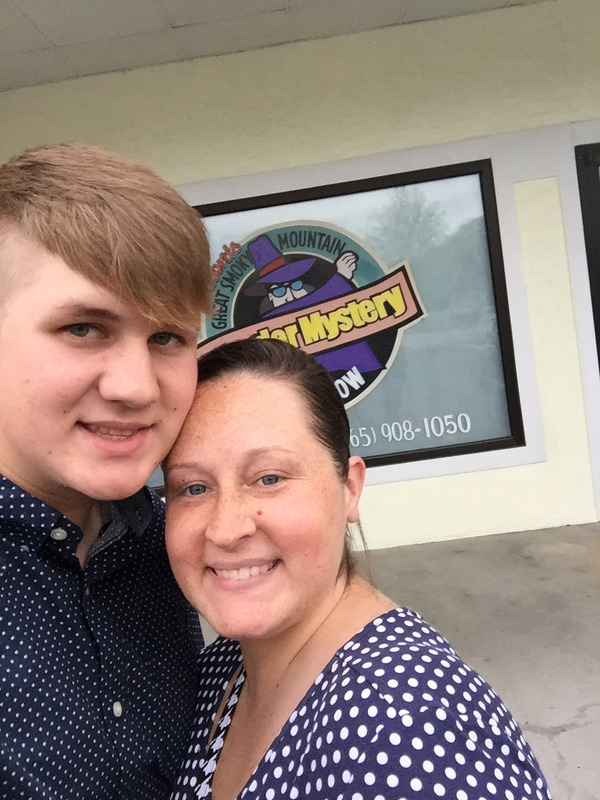 Where is the Murder Mystery Dinner Show located? We are located at 2682 Teaster Lane, Pigeon Forge, TN 37863. Please note that when you put our address into a GPS, it will incorrectly direct you to First Tennessee bank down the road from our physical location. Please note that we are located in the Riverview Factory Stores plaza.